I'm happy to say that I've been very busy but that means I've neglected my Blog. Sorry to all of you but I'm back. 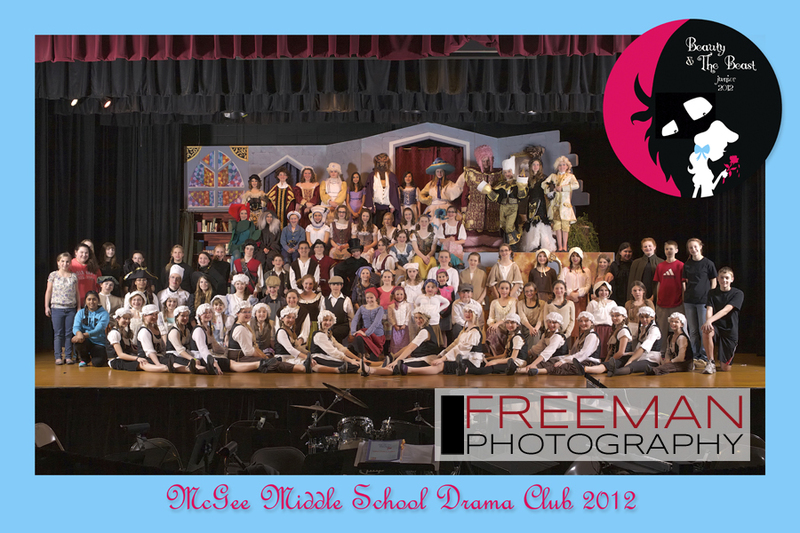 This is McGee Middle School Drama Clubs 2012 musical cast poster. I can't tell you how awesome it is to work with them, all 70+ students. This was the 3rd year I got to help them with their fund raiser and I can't thank all those who purchased a poster or one of the individual cast images. With how tight school budgets are we all need to find a way to support the arts in our schools.